See scan - absolutely perfect condition. 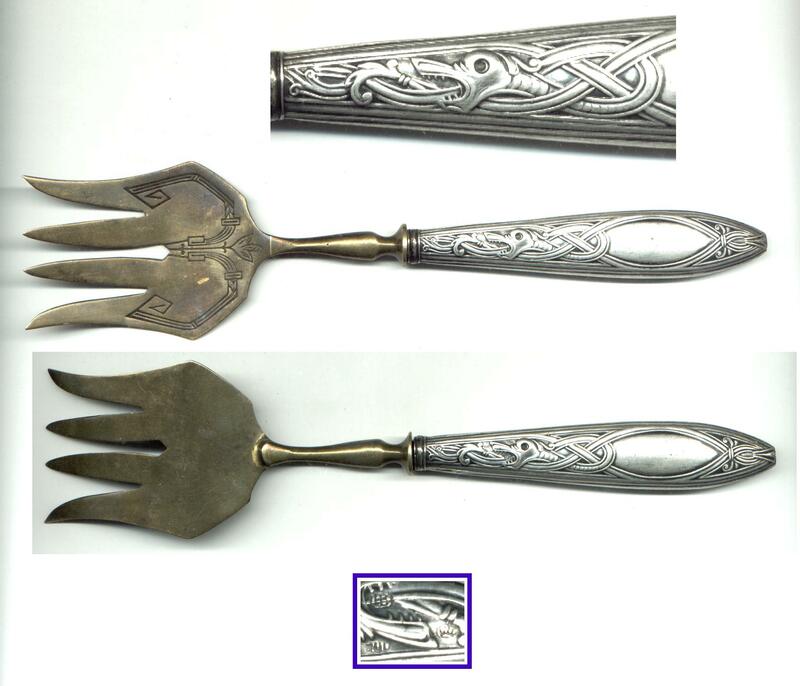 This is a scarce late XIXth century Art Nouveau style sterling silver serving fork with an extraordinary dragon repousse relief motif crafted at each side of the handle. The fork part is made out of bronze with other Art Nouveau engraved motifs and the handle is sterling silver and marked 900 plus a crown hallmark, as well as a master maker's mark with initials. Unfortunately those were hard to read but look like "HB". The length of the whole piece is 195 mm and the length of the handle is about 92 mm. The style and design of the dragon and handle is a scarce Art Nouveau Scandinavian mythology dragon like and looks very similar to designs of jewellery made in France by Pierre-Georges Deraisme, but also strikingly similar to modern H.R. Giger aliens and dragons. 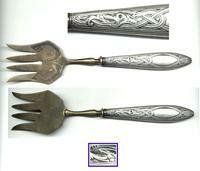 Absolutely scarce fine art silverwear collector piece and one of the important Art Nouveau artist signed silver works.